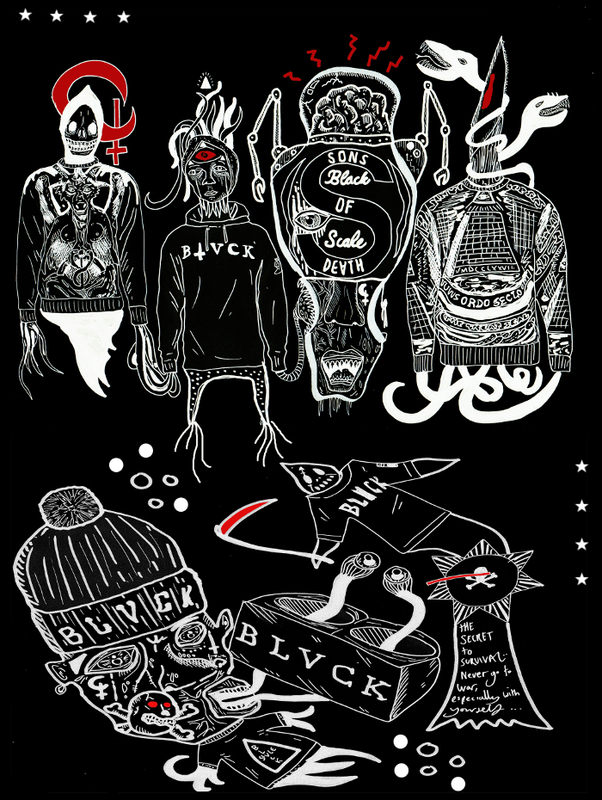 Urban Industry have drafted the illustrative talents of John Speed aka Rebel Yüth to showcase the latest product from California’s Black Scale currently available from the store. 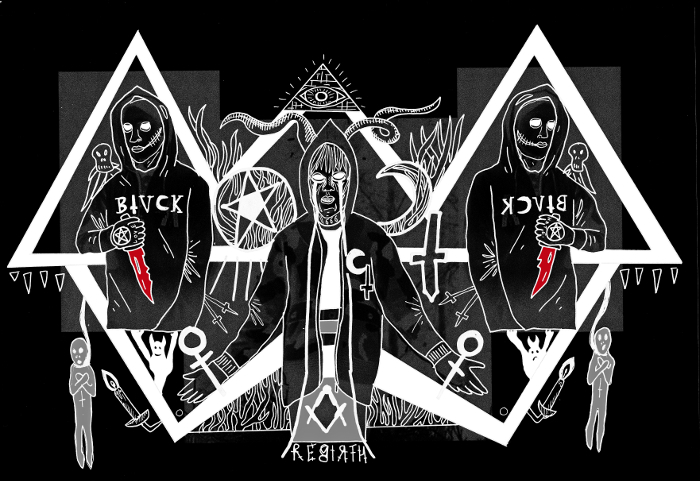 John has produced a pair of images which mix occult scenes with Russian prison tattoos and highlight some of the key pieces from Black Scale’s latest collection. The screen-printed crews (like the Le Satan number) are stand outs for me, but the simple Rebirth Logo hoods and Winter League tees look like the most wearable options. Check out both of the illustrations here and head to Rebel Yüth to see more of John’s work. You can browse the full range of Black Scale product at Urban Industry.